The UK based gaming operator, Rank Group Plc. has signed an agreement with software developer, Playtech Plc.. According to the agreement, the contract will see the software developer work with the gambling giant for many years to come. They will continue to supply bingo and casino software for Rank Group’s Mecca Bingo brand. Playtech and the Rank Group first went into a partnership more than a decade ago. The new agreement will only see that business relation extended for the next few years. Playtech Plc. will continue to serve as the exclusive provider of bingo network software and games for Mecca Bingo. Under the agreement, the Rank Group will be supplied exclusive gaming content from Playtec. On top of that, the company will also be given Paytech’s Open Platform solution. This software will enable Mecca to integrate and offer third- party content through their bingo site. Dan Phillips, the Vice President of UK operations at Playtech Plc. mentioned that the company has been doing exceptionally well in recent years and such a big contract will definitely see 2017 start on a good note. Phillips also added that Mecca Bingo is a household name in the UK and they were very pleased to be continuing business with the company. Colin Cole-Johnson, the Group Director at the Rank Group Plc., said that their customers have come to know and love the products that Playtech has been supplying to them over the years. Therefore, the decision to extend their working relation seemed like the most logical step forward for the operator. Shares in Playtech Plc. (LSE: PTEC) were trading down by 0.24 per cent at 824.50 pence per share in London on the morning of Monday the 30th of January 2017. At the same time, shares in Rank Group plc (LSE: RNK) were trading down 0.77 per cent at 192.60 pence per share. The Rank Group Plc. is a British gambling company that is based in the United Kingdom. The company was formerly involved in the cinema and motion picture business but has switched gears in 2006. It now includes the brands Grosvenor Casinos and Mecca Bingo. The company is headquarters in the United Kingdom and most of its Rank’s market is also located there. The company operates 56 casinos and 96 bingo halls across the UK. They have also ventured into online gaming and operates Rank Interactive, their online gaming and betting arm. Listed on the London Stock Exchange, the company also owns businesses in two other European countries – Belgium and Spain. 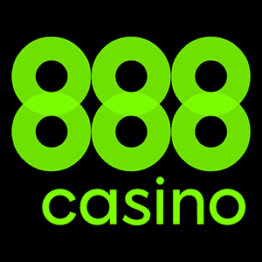 The company established their casino brand in 2007 and by 2010 reported active membership of 1 million customers across the country. The Rank Group is now the largest casino operator in the UK. Mecca Bingo, which is a subsidiary of the British gambling operator. They have gambling sites almost in every major town in the country and they also operate the gambling websites, meccabingo.com and meccagames.com. Playtech Plc., the online gaming software giant that was founded in 1999 by Teddy Sagi in Tartu, Estonia. The company was established by including partners from the world of software engineering, multimedia and casino. They launched their first casino product in 2001. Playtech Plc. has come a long way since its inception. The company has done wonders to cement its reputation as a developer, designer and licensor of web and mobile software to the gaming industry. To name a few, they now provide their suite of products and services to big companies in the United Kingdom, including the likes of William Hill Plc., Bet 365 Group Ltd. and Labdrokes Plc. They also provide games in Italy, SNAI and SISAL (Sport Italia Società a Responsabilità Limitata), which translates to Italian Sport Limited Liability Company. In 2006, the company was successfully floated on the AIM market. It was valued at approximately USD 950 million.